In my third blog post today, I’m featuring the chuppah design. Bright and early on the Sunday morning, I made my way to By Appointment Only Design‘s (BAOD) studio in Camden. 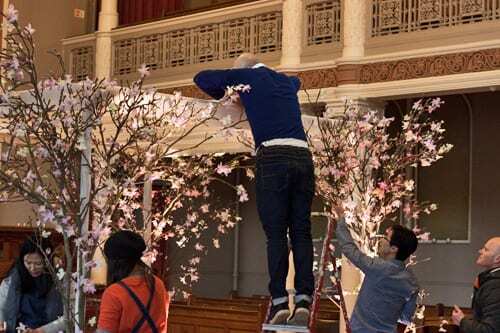 The Pollen Crew team, who were helping to install the wedding, were there. 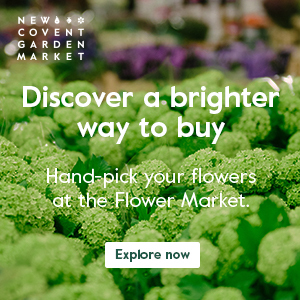 They were busy loading up their vans with the double domes of roses, vases of hand-tied bouquets, candles, candlesticks, tea light holders and vases. Javier went to The Savoy to start setting up the banqueting room with some of the BAOD staff. Tony, together with other members of the BAOD staff and myself, went to the synagogue in North London where the wedding ceremony was taking place. 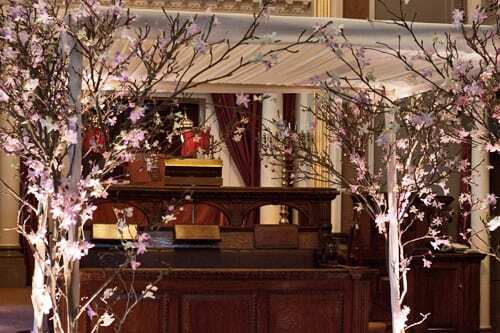 The bride had requested a spring look for the wedding so Tony had suggested that the chuppah was decorated with blossom. 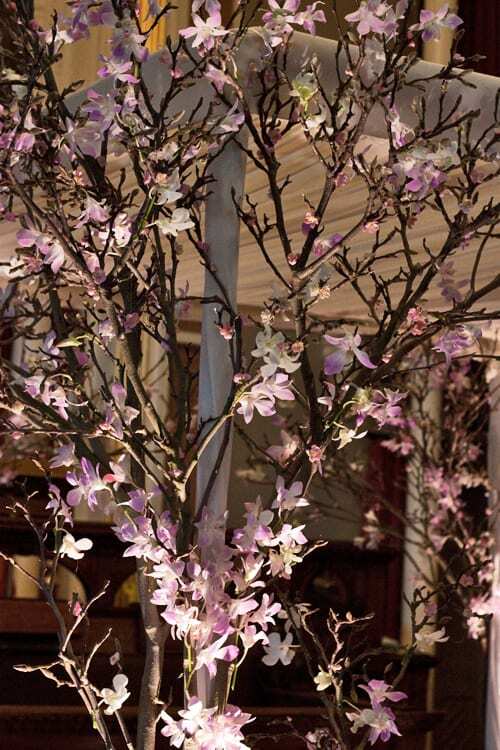 Individual florets of pink silk cherry blossom had been individually hot-glued on to branches of magnolia the day before. 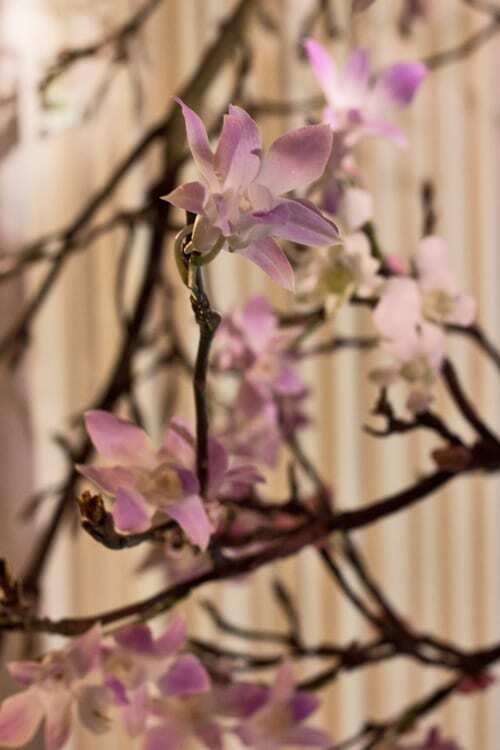 Our task that morning was to wire blooms of white and pale pink dendrobium orchids on to the branches. 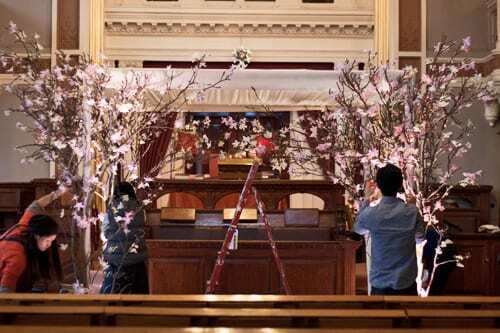 Whilst we set to work, Pollen Crew made and erected the chuppah. And then Tony attached the finished branches to the design using cable ties. And here’s the finished design below. Isn’t it just stunning?! Whilst we were there, we also placed storm lanterns with white candles and tea lights in holders on the window ledges. The next blog post coming up will feature the bridal party flowers. Absolutely stunning! I am a big fan of cherry blossom, just beautiful. Thank you Joanne…it looked even more spectacular in real life! 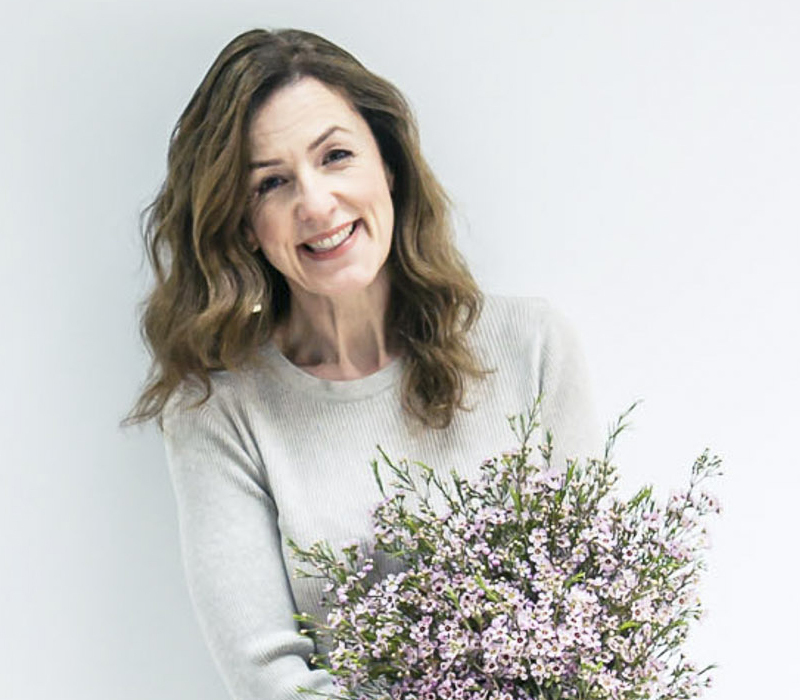 That has to be the most fantastic wedding I’ve ever seen – the flowers were absolutely beautiful and what an honor for you to be involved like that – a fabulous read – it made my day !!!! Thank you Jan for your wonderful comment. I’m so glad to hear that you enjoyed reading my Wedding Wednesday blog posts this week :-).